Originally known as “The Little Church in the Bush,” St. Thomas the Apostle Catholic Church was founded west of Crystal Lake at the intersection of Route 176 and Mount Thabor Road, where the Mt. Thabor Cemetery is located today. Organized in 1859 by Father Patrick McMahon, the pastor at St. Patrick’s Church in Hartland, St. Thomas was established because of the large number of Irish immigrants located in the “Irish Hollow” area just west of Turnberry. Father McMahon served the parishioners of both Hartland and Crystal Lake, with St. Thomas being a mission parish of Hartland. Among the founders of St. Thomas Parish were Luke Gannon and Thomas Goodman. The names of Courtney and Malone are also associated with the early St. Thomas Church. A small log cabin sat in the middle of the Mt.Thabor Cemetery and served as the church. As the Catholic population shifted toward Crystal Lake in the late 1800’s, St. Thomas followed. In 1881, land on Park Street (now Pierson Street) was purchased from Thomas Leonard (of Leonard Hotel fame) and a new frame church was built. By 1885, membership numbered about sixty-five families. Now a private residence, this early St. Thomas Church building is located at 485 Pierson St. between Dole Avenue and Florence Street. Inside the living room of the house, the high ceilings and outlines of the stained glass windows from the original church can still be seen. After St. Thomas moved from Mt. 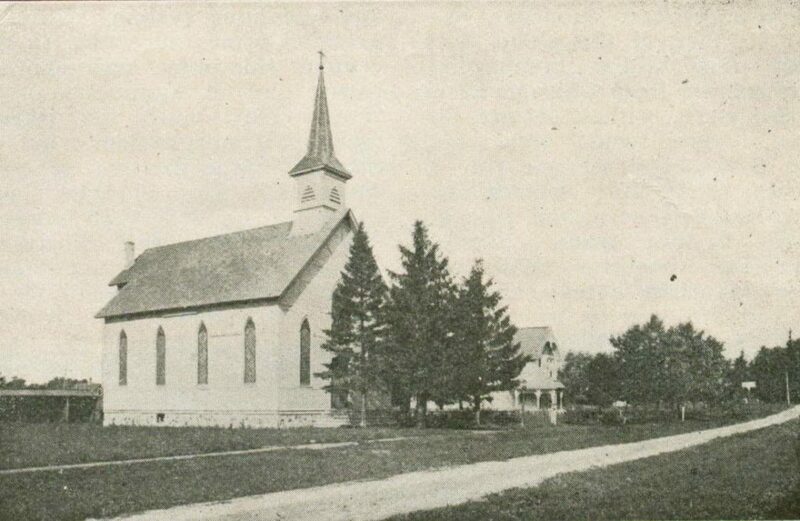 Thabor to Crystal Lake, the parish became a mission of St. Mary’s Catholic Church in Woodstock, and in 1905, switched to being a mission of St. Anne’s Parish in Barrington. It was not until 1913 that St. Thomas became an independent parish. 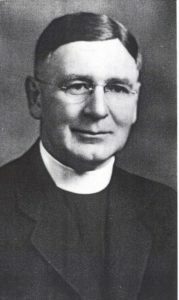 The name most closely associated with St. Thomas in the first half of the last century was that of Father E. A. McCormick, who served as pastor at St. Thomas for 41 years from 1914 until his death in 1955. McCormick Park, located across from the St. Thomas rectory and church, was named for Father McCormick following his death. The park was the original town square of Crystal Lake. When Father McCormick moved to Crystal Lake, Mrs. Libby Duffy Reynolds, a parishioner at St. Thomas, donated four lots for a new church, school and rectory. Those lots were located on Pierson, Lake and King Streets. Father McCormick moved into the new rectory at the corner of Pierson and King Streets in March of 1923. Located immediately west of the rectory, the red-brick St. Thomas Church was dedicated on July 12, 1925. This brick structure served the congregation for more than 40 years. 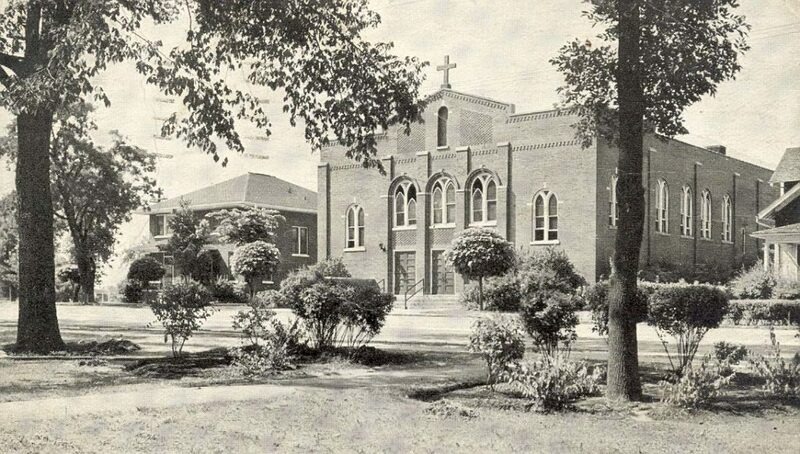 In 1968, a new St. Thomas Church was built at the corner of Oak Street and Route 176. The old church on Pierson Street is still used for religious education and Sunday Masses for Spanish speaking parishioners. Standing in the middle of Mt. Thabor Cemetery today, it is hard to imagine that the present St. Thomas Parish of 3,200 families once consisted of a handful of Irish immigrants waiting for the priest from Hartland to arrive on horseback to say Mass.